Our Sewer Scope Inspection includes insertion of a video line through your home’s waste pipes. Our video line extends down branch lines (pipes that lead from bathtubs and faucets to the home’s sewer line) or down the home’s sewer line (the larger pipe which leads from the house to the municipal sewer line near the street). Our video line permits our inspector to view the line in close-up and real-time detail. Our video line also includes a transmitter. When we identify an issue, our inspector stops the camera at the blockage point, returns to ground level, identifies the point at which the transmitter is located underground, and marks a spot at the exact point of blockage. The blockage point is where a plumber would dig a sewer trench to resolve the issue. 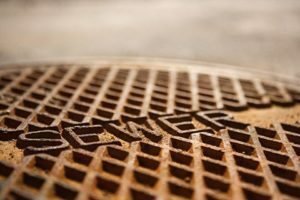 Our Sewer Scope Inspection evaluates the line from clean-out to the city main sewer line. If we find problems with the line, we are able to accurately pinpoint the location and depth of the trouble area. Common problems include tree roots, holes, pooling, cracks, and pipe separation. Our report includes high-resolution digital still photos captured from the video. If we identify issues, we provide you with specific recommendations and next steps.